How many of us walk into Tackle Shops, Sears or Walmart making a b-line straight to the fishing rods pointing straight into the air to look for our new magic bullet? The perfect fishing lure, or plastic bait that will bring us to victory in our war with the aquatic underworld. Naturally, when you get there, you start looking at the massive selection of different baits and you’re left with the age-old question, what kind do I get today? What works when? You don’t need EVERY color you see, but you may need a few. So, we’re left there remembering which ones we’ve seen in what articles or magazines. This pro caught his 18lb lunker on this lure, or Brenda from down the street caught hers on that watermelon color crawdad. Have you ever stopped to wonder why? Why do certain colors work at certain times of the year vs other colors? For most anglers in the country, there are 4 simple patterns that you’ll need to have in your box to find success. Matching what is spawning in your prey’s natural habitat will yield the greatest success. Lakes, will mostly have craw-fish, shad & bluegill spawning at different times of the year. The fourth pattern is almost the exact opposite, a gaudy chartreuse with a black back, and or tiger pattern. These will slay your opponent when the water system is muddy, or when the weather is overcast in lower light conditions. Plastics is a different rule altogether. Color selection is directly linked to whatever the water conditions are. In darker waters, it’s all about contrast. If the water is darker, choose a darker plastic to start with. However, when you’re in clear water, you will want to go natural. If you watch your darker color plastics in crystal clear water, you will see it looks out of place and you won’t get as many bites. Maximize your bites in clear water with a green, watermelon, and or a lighter brown. These colors won’t look too out of place like a darker black. Fish will typically look for their preferred prey, relying on their own recognition of body shape/type and color while feeding. It’s your job to mimic their prey. As fish grow they recognize mental images of objects that are important to their growth. Color plays a big role in those mental images, helping them separate one type of prey from another, and avoiding predators. Your fish’s response will be dependent on what type of prey or predator your mimicking. 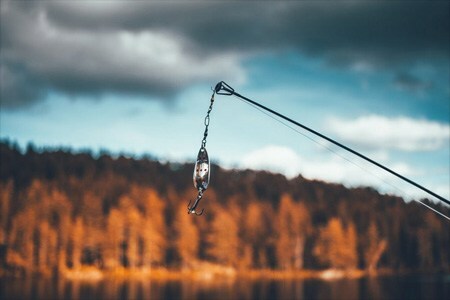 The difference between being skunked on the water and reeling in the catch of the day can all depend on your understanding of the prey your after. Your prey’s ability to see the lure your fishing has a lot to do with background color. Think about it. If you’re fishing a green-colored lure in weeds, and algae covered water, while it may appear natural, your prey may not be able to spot it. Often, we anglers tend to camouflage our baits without even realizing it. Remember, choose a lure that contrasts against whatever background your fishing. 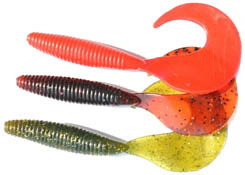 Two, or three toned lures are an excellent choice when fighting with this dilemma. What’s your favorite color to fish? Types of Fishing Reels – Which one is right for you?